Majority shareholder says sorry to fans and accepts responsibility for financial woes. 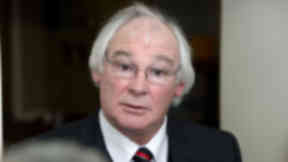 Dunfermline Athletic owner Gavin Masterton has personally apologised for leading the club into administration. Masterton, who owns 94% of the club shares, also accepted responsibility for racking up debts of around £10m, which led to the club being taken into administration on Wednesday, March 26. Masterton said: “Despite my concerns regarding events over the past six months the ultimate responsibility stops with myself. 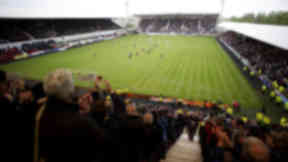 “Over the years the Masterton family have invested several millions of pounds into the club to establish the infrastructure and just under one million in the current year but this trend unfortunately was not sustainable. "I want to personally apologise to all who will now be upset and damaged by today's announcement. “Money and jobs will inevitably be lost but everything will be done to ensure a rapid return to normality." Meanwhile the club’s administrators have warned they will announce job losses in the coming days. Bryan Jackson and Robert Barclay of PKF accountants have taken control at East End Park following the decision at the Court of Session to allow an interim administration order. 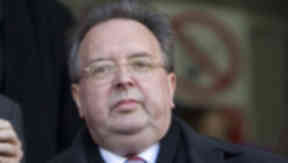 Mr Jackson described saving Dunfermline as “a considerable task” and urged fans to rally around the club. Speaking on the official Dunfermline website, he said: “The 128-year-old club has accumulated substantial debts over several years mostly from existing and past directors. “Unfortunately there will be a number of redundancies which will be announced in the next few days. "The interim management process will allow the club to operate without immediate fear of closure but I cannot stress the need for the continued support of the fans, players, and staff in this process. “It is important to realise that this appointment is simply the first step in a process that will take some considerable time. "Money will need to be raised simply to get to the end of the season as well as into the summer to continue to fund the club's day to day operations. “Meanwhile I shall be consulting with creditors and potential buyers of the club to try to ensure it has a viable future. 27 Mar 2013 What does the future hold for cash-strapped Dunfermline Athletic?